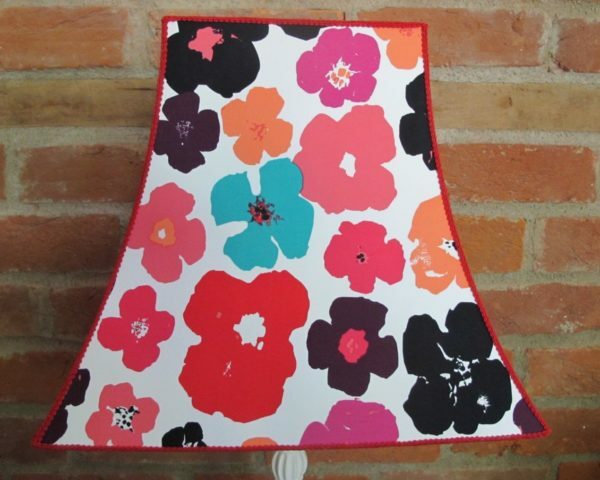 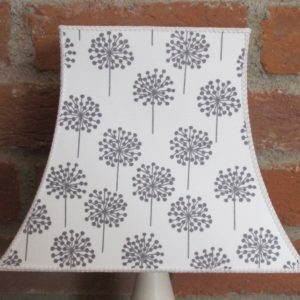 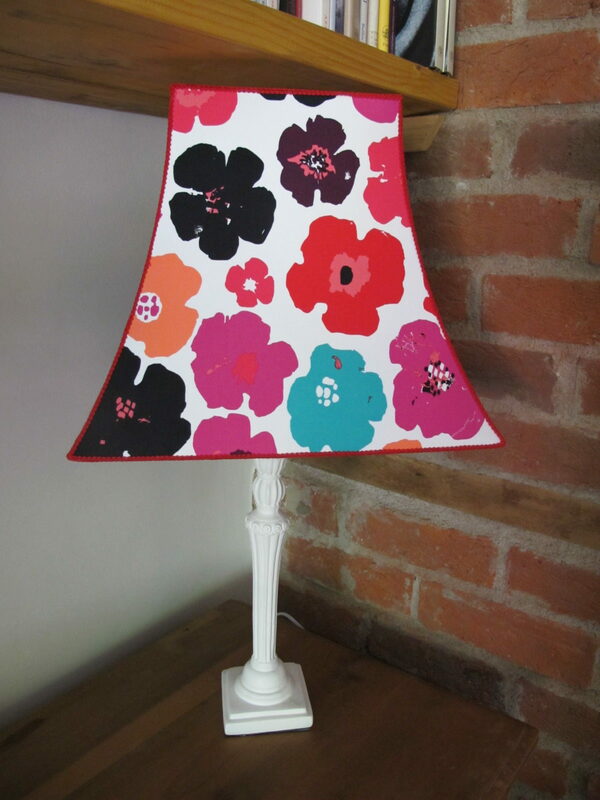 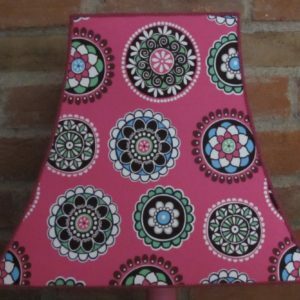 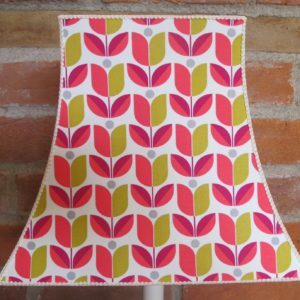 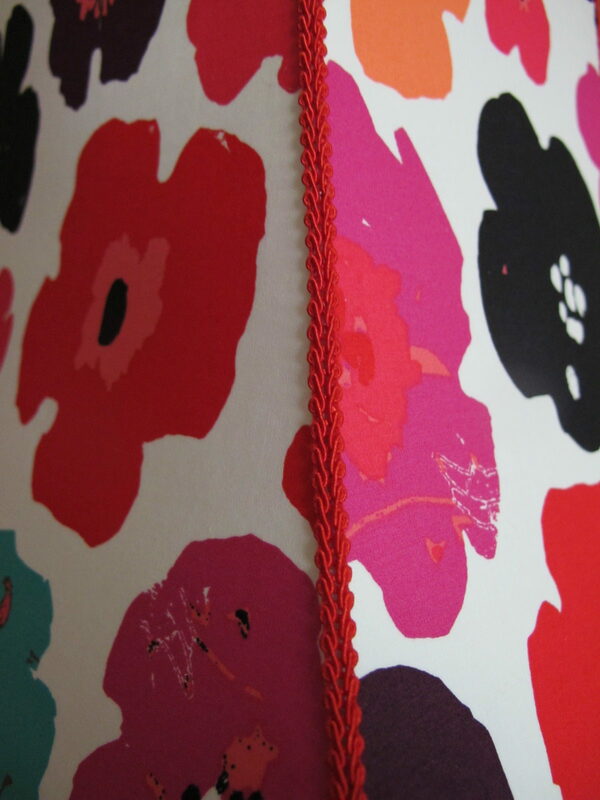 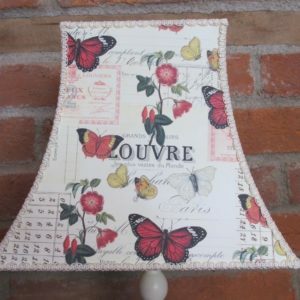 If you have a plain wall it would be a perfect backdrop for this statement lampshade. 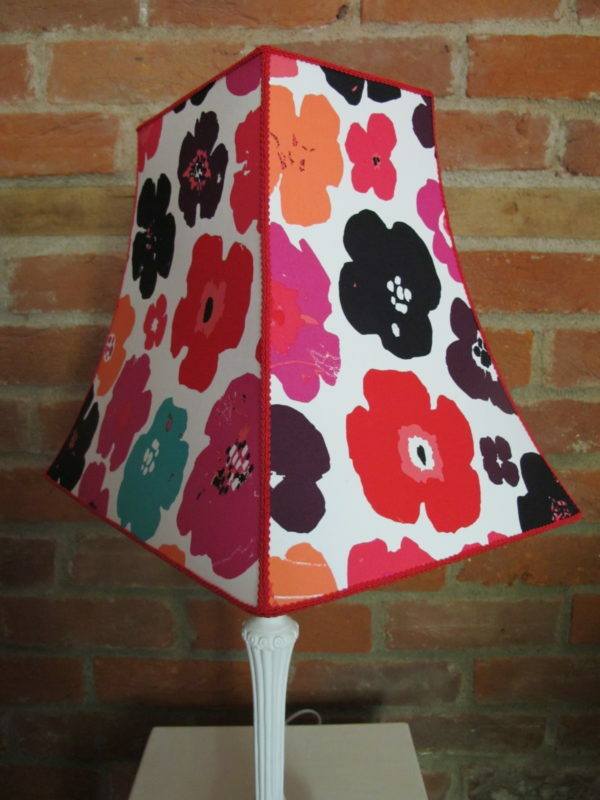 Big, bright and bold for that 60’s feel. 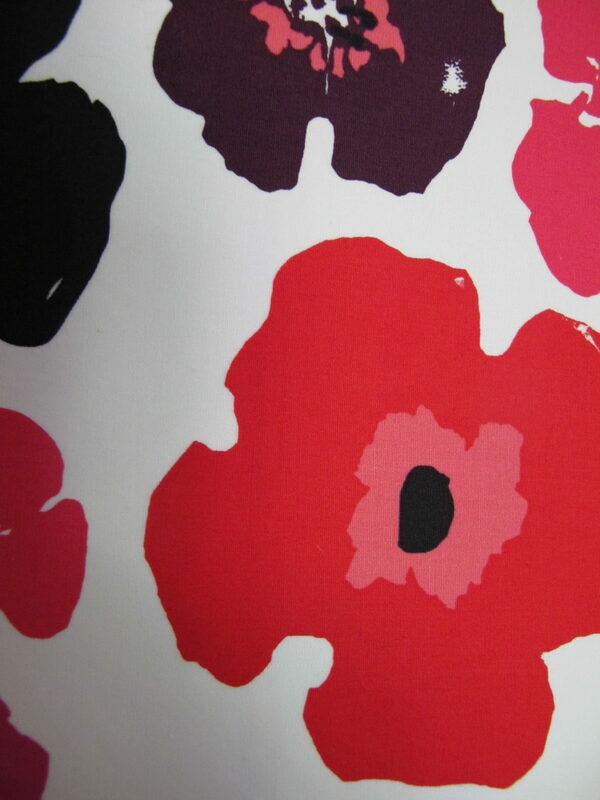 Big blooms of red, turquoise, pink, black and orange.